You can easily use a free standing room partition to separate one large space and give the illusion that you have more privacy and rooms than you actually do. Building the partition with plywood makes it lightweight and easy to make, and it can help make the actual building project easier to handle. By building the room partition to be free standing, rather than anchored to the ceiling or floor, you can leave little evidence behind when you decide to remove the partition -- especially if you're renting the space. You can divide a big space nicely with a room partition. Measure upward from the floor to the ceiling. Take new measurements every foot or so across the area where you will install the free standing room partition to ensure accuracy. Mark the exact area you will need to cut the plywood for it to fit between the floor and the ceiling. Also, mark the total length you want the wall to be across the room. 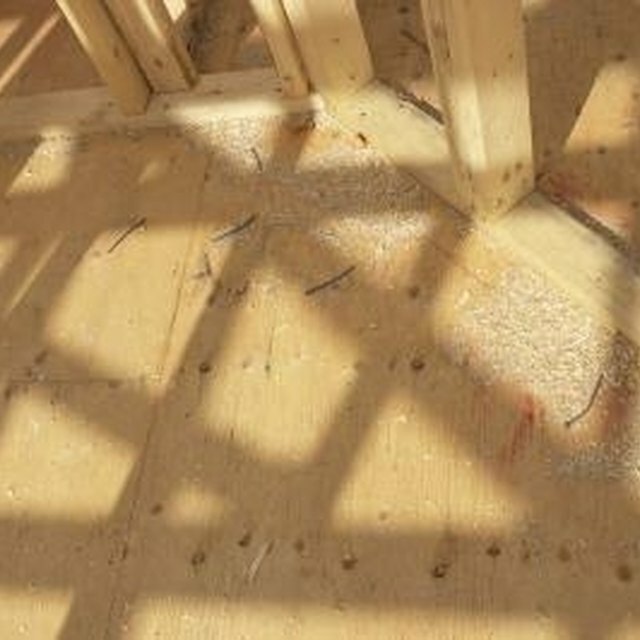 Use a circular saw to cut across the plywood at the spots you marked. Add a layer of sill-plate foam sealer to the top and bottom edges of the plywood. This will help you get a much tighter fit between the ceiling and floor so the partition can remain freestanding. Slide the plywood freestanding room partition in place between the ceiling and floor. The foam sealer should give you a tight fit. If you see any gaps, close them up with tapered wood shims to ensure the partition is as secure as possible.